As a leading Toyota dealer and a top destination for new Toyota cars near LaGrange, GA, Toyota of Newnan takes pride in the diverse selection of coupes, sedans, crossovers, and SUVs on its lot. We back all of our vehicles with excellent parts and service. Our Newnan, GA dealers go above and beyond to satisfy our customers, making them some of the trusted in the state. Visit our dealership at 2 Herring Rd in Newnan, GA and lose yourself in an incredible vehicle shopping experience like you’ve never experienced before. The Toyota brand features some of the most-trusted vehicles in the world, but just like all other cars, taking care of your Toyota is important to extending the life of the vehicle. You can do this by committing to a regular service plan. The oil in the car should be changed every 3,000 miles or so. The longer you wait for an oil change, the more likely it is that something can go wrong in the engine or transmission. New oil in a car every couple thousand miles makes it run smoothly. Your tires should be rotated every 6,000-8,000 miles in order to ensure even tread wear. Note that the mileage is just for guidance. Tires might need to be rotated more often depending on their type, the roads on which you drive and your driving habits. Our staff can assist you with these preventive measures at Toyota of Newnan. A top Toyota dealership near Fayetteville like ours knows the importance of keeping your Toyota car maintained. Contact us for a detailed and trusted service experience. When you visit our Toyota service center at Toyota of Newnan, we feel you will find our knowledge and expertise put us above the rest. 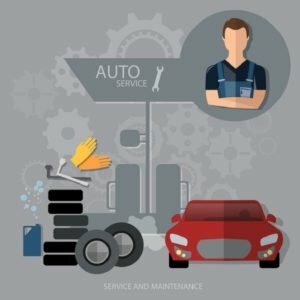 Our service center is open six days a week and is staffed with experienced, knowledgeable mechanics who get the job done right the first time. The health and longevity of your car rely on a regular maintenance schedule. Whether you require an oil change, part replacement, a tire rotation or a warranty issue fixed; our mechanics will gladly care for your car. No matter where you purchased your Toyota vehicle, our service center can handle all your needs.